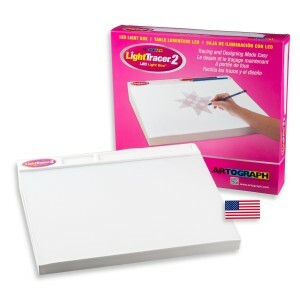 Replacement 8-watt daylight fluorescent lamp for the Light Tracer®, Light Tracer® Elite and ArtSeries 10″ x 12″ light boxes. Rated for approximately 7500 hours of use. This entry was posted in Accessories, Light Box Accessories and tagged 10 x 12, 8-watt, ArtSeries, fluorescent lamp, lamp, light box, LightTracer, LightTracer Elite on April 8, 2014 by Artograph.